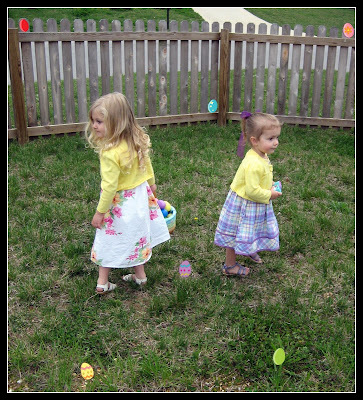 Please forgive so many Easter pics. I print my blog as my scrapbook so I like to memorex my holiday festivites. And I know my mom likes it. 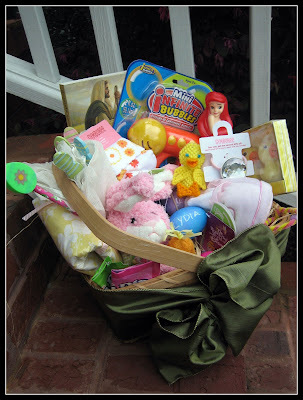 Shane's Basket - with a little bunny for our baby....coming in about 5 weeks! 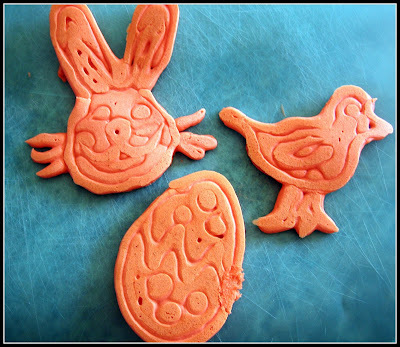 Shane made pink Easter pancakes with Lydia. He has quite the talent I must say. Last minute Easter outfit. I thought she looked lovely. 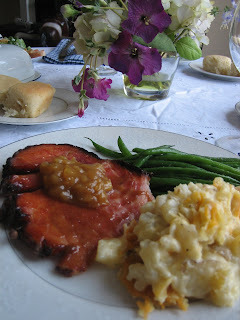 This photo is from last years meal, but we had the exact same meal this year. I love funeral pototoes. I could eat the whole pan. Yum. 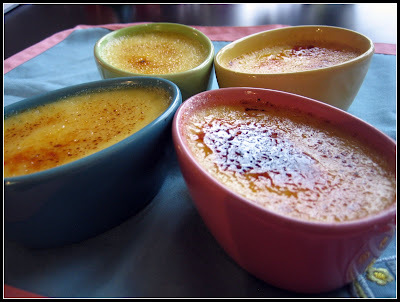 I just made crème brûlée for Valentines day, but when a friend gave me these ramekins, I really had to pull out the blow torch again. What? You wanted a closer view of what was in my basket? 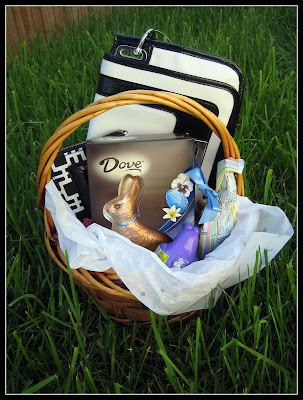 Don't you love an Easter Bunny who lets you choose what you find in your basket? 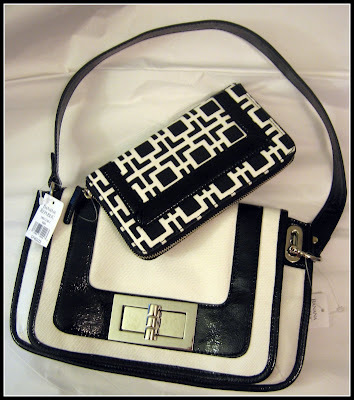 I needed a new wallet anyway, but when I saw the matching purse I told Shane it could be my "Push Gift" :) (Not that I really expected one.) I know that I have been talking about yellow a lot, but truly, black is my color. 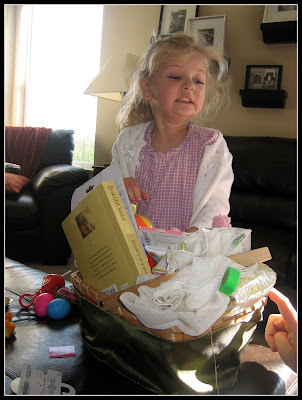 The randomly chosen winner for The Baby's Bundle Giveaway is Dana! Congrats! Email me your address and I will get you your prize. Stay tuned, more great giveaways to come. 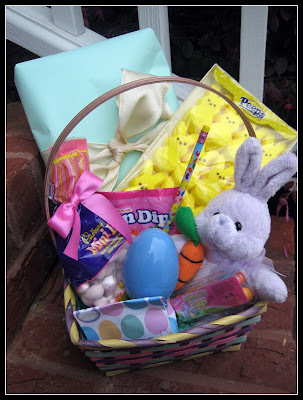 Your Easter baskets are so cute! You are the most fun mom/friend. I completely understand why Isabella never wants to come home from her playdates at "'Idia Home." 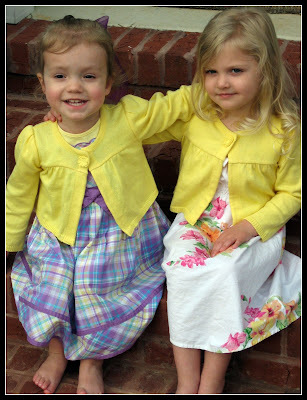 Love the yellow cardigans, adorable! Your pictures are adorable. 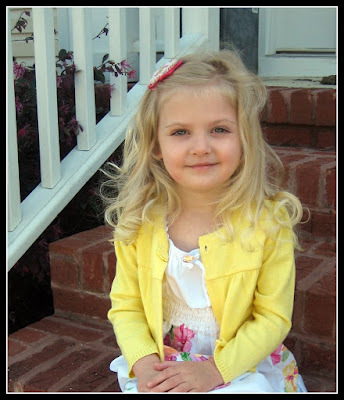 Your daughters dress is oh so cute! What are funeral potatoes? They look yummy! Advice for the Newlyweds...and a little giveaway. A Little Blog Spring Cleaning. Needed a smile today. This did the trick. I'm a Soccer Mom...April Fools!